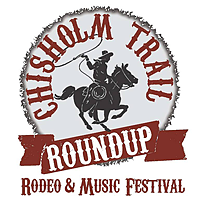 A brochure printed annually for the Chisholm Trail Roundup with listings of activities, events, and entertainment for the Largest Festival in Lockhart. Street map featuring the City of Lockhart and Caldwell County. Sponsored by Lockhart Fire Rescue. A brochure printed annually featuring the schedule of activities and entertainment for the Dickens weekend. A brochure producted by the Lockhart Chamber of Commerce & Visitors Center with information about our history, BBQ, local atrractions, and Tourism Calendar. A convenient map and listing of our downtown area merchants in the Historical District. A self-guided tour of Lockhart's public square, a National Historical District.